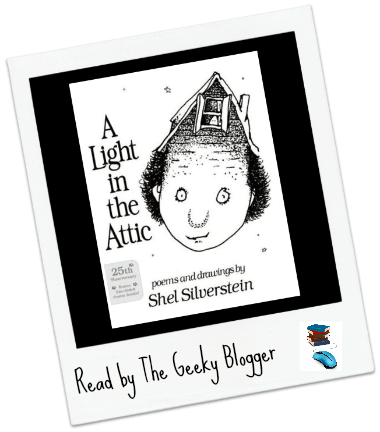 A Light in the Attic by Shel Silverstein: I love this book of poems! It is one of my favorites from when I was a child. I recommend this to the young and old alike if you like to smile. Shel had a way of making everything be funny and relative to everyday life. Some of my favorites from this one: Monsters I’ve Met, Rock n Roll Band, The Meehoo with an Exactlywatt, Cloony the Clown, Union for Children’s Rights, and Kidnapped.